Dorm room decorating is a lot of fun. You get to pick out the perfect dorm essentials that will make your college dorm room feel like a home away from home and look unique from everyone else's on your Residence Hall floor. When you're dorm room decorating, you don't have to just put up those dorm room decorations at the beginning of the year and be done. You can rearrange your room of course, but you can also do some dorm room decorating for the holidays. Where do you want to start? With your dorm Christmas tree of course! Your dorm Christmas Tree is the centerpiece of your holiday dorm room decor and where your holiday decorations start. For a unique, fun addition to your college dorm room decor for the holidays, add our 3'x25" Lime Fir Tree with Mini Lights. 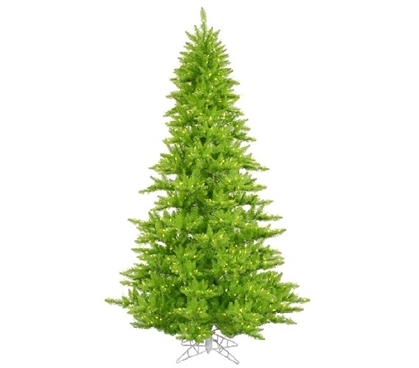 Our Lime Fir Tree with Mini Lights isn't a traditional Christmas tree - the branches are a bright lime green color that will really make your holiday dorm room decorations stand out! Placed along the branches are even Lime Mini lights on lime wire to complete the effect of your holiday decorations. Of course, as you are putting a Christmas tree up in your college dorm room, you can't have a large dorm Christmas tree like your family has. This dorm essentials item is perfectly sized for your college dorm room. Sized 3' x 25", you can place this great looking dorm decoration on your college dresser or in a corner of your dorm room for some extra holiday cheer without losing your dorm room storage space.